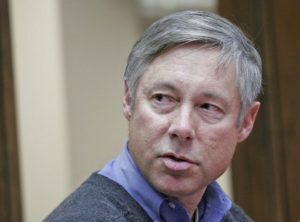 When it comes to gun regulation, Republican Rep. Fred Upton is a leopard trying to change its spots. In fact, Upton, according to records maintained by nonpartisan vote tracking organization VoteSmart, has a long record of voting to take sensible regulations off the table – furthering the agenda pro-gun interests like the National Rifle Association, which according to figures from the Center for Responsive Politics has given him $12,106 in donations, second in Michigan only to far-right congressman Tim Social-Security-is-socialism Walberg. — Authorize the sale of firearms and ammunition to any veteran deemed mentally incompetent . — Disapprove a rule submitted by the Social Security Administration which sought to implement restrictions on gun purchases by individuals who have been deemed incapable of managing their federal benefit payments. — Block the District of Columbia from enforcing sensible firearms regulations. — Force states to allow concealed carry by anyone with a permit from another state — no matter how lax that state’s requirements. — Block the U.S. Commerce Department from using federal funds to enforce a requirement that guns be sold with trigger locks. — Protect firearms manufacturers from liability stemming from their irresponsible sale of military-grade weapons. — Repeal a ban on semiautomatic assault weapons like the one used in the Parkland, Fla., school massacre. Don’t let Fred fool you and the rest of the Sixth District. He’s as pro-gun as they come — with a “A” rating from the NRA to prove it. Vote for Democrats — and sensible gun regulation to protect our children — this fall.